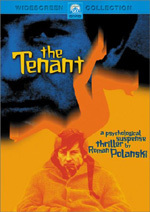 An apartment with an unhappy past, in a building filled with faintly sinister residents, set the stage for filmmaker Roman Polanski's riveting thriller, The Tenant. Polanski plays Trelkovsky, a quiet, timid file clerk increasingly overshadowed with dread and fear after he moves into his new home. Adding to his paranoia are the building's other occupants, who do nothing to alleviate his growing obsession with the untimely, tragic fate of the apartment's previous tenant. Is Trelkovsky's dread truly justified-or is it simply the result of his seemingly disintegrating mental state? 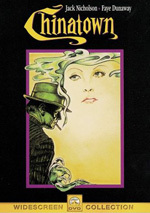 A brilliant international cast (Isabelle Adjani, Melvyn Douglas, Jo Van Fleet, Bernard Fresson, Lila Kedrova, Shelley Winters) and Polanski's own penchant for packaging and delivering unprecedented suspense (Repulsion, Rosemary's Baby, Chinatown) make The Tenant a haunting, riveting film classic! Now that he enjoys a renewed high profile with his Oscar for The Pianist, it comes as no surprise that other Roman Polanski flicks now emerge on DVD. From Paramount we get 1976’s The Tenant, a psychological horror flick in the tradition of the director’s Rosemary’s Baby. A man named Trelkovsky (Polanski) comes to find apartment in France. As the concierge (Shelley Winters) shows it to him, she notes that the previous tenant unsuccessfully tried to commit suicide when she jumped out of the window. Simone Choule (Dominique Poulange) remains hospitalized but seems likely to kick soon. Landlord Monsieur Zy (Melvyn Douglas) extorts a kind of “finder’s fee” from Trelkovsky, but apparently housing’s at a premium, so the tenant pays. Trelkovsky goes to visit Simone in the hospital and sees her just after she came out of coma. At bedside he meets Simone’s friend Stella (Isabelle Adjani) and he pretends that he knows the comatose woman. They flee the hospital when Simone cries in pain. Some romantic involvement quickly ensues, but then they mostly lose touch with each other, though they briefly meet up again at Simone’s funeral. Otherwise, Trelkovsky goes about his life in his new apartment. Slowly he gets a weird vibe from his neighbors, especially since they incessantly complain about noise that he doesn’t make. Trelkovsky also sees weird visions of residents as they stand for hours in a shared bathroom and don’t move at all. He gradually develops more of a relationship with Stella but starts to break down as he feels the locals attempt to remake him in Simone’s image. When I say gradually, I mean really gradually, as The Tenant takes forever to go anywhere. The pacing seems glacial. I wouldn’t mind that so much if Polanski established a particularly moody atmosphere, but that doesn’t occur. If anything, The Tenant comes across like a parody of this sort of horror flick, and it never creates a feeling of dread or fear. It doesn’t help that Polanski telegraphs much of the action. Much of the film seems predictable, and the points that don’t appear uninteresting. We know something’s coming, but by the time it does, we don’t really care any more. The story’s slowness sabotages any attempts at drama, for it’s almost impossible to invest any passion into these characters. Maybe if Polanski got a better actor for the lead, the project might have worked better. Unfortunately, the director’s simply not a compelling enough actor to carry his own film. He creates such a dull presence that it’s almost impossible to maintain any interest in him. In the end, The Tenant feels like little more than a half-assed attempt by Polanski to remake his own Rosemary’s Baby. Who knows – maybe if I watched The Tenant a second time it’d reveal more charms to me. 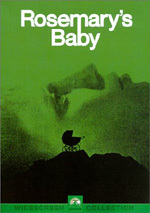 After all, I didn’t care for Baby during my initial screening, but it became much more effective on second glance. Frankly, I can’t muster the energy to give The Tenant another shot, as this somnambulant “thriller” with a terrible ending just makes me want back those two hours of my life. The Tenant appears in an aspect ratio of approximately 1.85:1 on this single-sided, double-layered DVD; the image has been enhanced for 16X9 televisions. While the picture demonstrated some very nice qualities, it showed its age too often to present a consistently great transfer. Sharpness offered one of the image’s high points. The movie looked crisp and detailed during virtually all of the scenes. Only the slightest softness crept in to a few sequences. Jagged edges and moiré effects caused no issues, but I noticed some mild edge enhancement at times. Print flaws also created a few problems. I noticed occasional examples of grit or small marks, but mostly white specks provided the most distractions. These weren’t a constant issue, but they popped up more than sporadically through the film. With a deliberately subdued palette, the colors of The Tenant won’t win any awards. However, they looked fine for this sort of film. They remained restrained for the most part, but they demonstrated solid clarity when necessary. Black levels mostly seemed solid, though they could appear slightly pale at times. Shadow detail was slightly iffy on occasion. Low-light shots sometimes came across as a bit dense and murky. Overall, The Tenant looked pretty positive, but I didn’t think it merited a grade above a “B“. This DVD of The Tenant presented both English and French monaural soundtracks. Normally one or the other would be regarded as the original mix, but for the life of me, I couldn’t figure out if that was the case here. At times, the English track seemed natural and smooth, while other scenes showed obvious and poor dubbing. Conversely, the same issues affected the French mix. Some of the scenes looked much better in French, while others were noticeably “off”. I did a little research but I couldn’t figure out if one of these two tracks is supposed to be seen as the “correct” one, but because of the various dubbing issues, neither seemed totally satisfying. Did the film ever run with both English and French? I don’t know, but that kind of hybrid seemed like it’d make the most sense. As it stood, neither one was significantly preferable to the other. I flipped back and forth dependent on the scene. Shots with French actors went with that language, while those with Americans got the English treatment. This was the closest way to make the audio satisfying for me, as it appeared very likely that’s the way the movie was shot; when the Shelley Winters character spoke French, it was obvious she didn’t record the dialogue in that language herself. Once I got beyond language matters, the two tracks sounded quite similar. Quality of speech varied dependent on the looping itself. A lot of the lines came across as pretty unnatural, mostly when they obviously weren’t in the original language as filmed. Some of the actors who dubbed the English from French seemed particularly awful; the scenes during Trelkovsky’s house-warming party were probably the worst offenders. The best bits appeared acceptably warm and crisp, but a fair amount of variation occurred for dialogue. The other elements were less erratic, but neither seemed particularly positive. Effects played a generally minor role in the movie. It was a subdued affair, so the effects didn’t pop up too prominently. They appeared reasonably accurate and lacked distortion, but they didn’t stand out in any way. Music was fairly clear but remained somewhat thin and tinny. Not much range appeared throughout this lackluster mix. The Tenant comes without many extras. All we find is the movie’s theatrical trailer. Presented anamorphic 1.85:1 with monaural sound, the ad doesn’t tell us much, and it also doesn’t sell the flick very well. I’d have liked more supplements, but given this disc’s shockingly low list price of $9.99, I won’t complain. Not that I can blame the trailer for keeping things vague. I wouldn’t know how to promote a boring dud like The Tenant either. The flick moves too slowly and presents such dull characters that it never creates the necessary tension or drama. These become fatal flaws for a psychological horror flick. The DVD presents pretty solid picture with slightly below average audio and an almost non-existent set of supplements. I can’t recommend this turgid thriller to anyone other than the most devoted Polanski fan.